California’s Department of Pesticide Regulation recommended new interim restrictions for chlorpyrifos, a once widely used pesticide whose use has declined over the years and whose safety concerns prompted DPR to designate it as a “restricted material” in 2015. 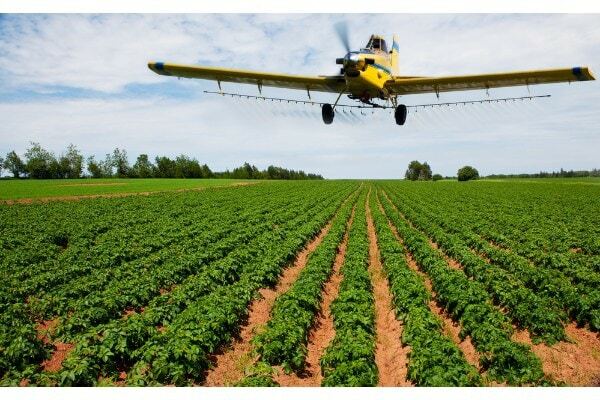 The agency’s temporary guidelines include a ban on using the pesticide in crop dusting and applying it to most crops. Chlorpyrifos is currently used on approximately 60 crops statewide including grapes, almonds, and oranges. Chlorpyrifos has been detected not only on foods, but also in drinking water. A study in 2012 by the University of California at Berkeley reported that 87 percent of blood samples from newborn babies contained some level of the pesticide. As a result, Dow, the manufacturer, removed chlorpyrifos from the market as a home insecticide in 2000. In addition, in 2012, US EPA designated “no-spray” zones around certain sites, like schools. The use of chlorpyrifos has dropped significantly throughout the state. According to DPR, “[u]se of the pesticide has dropped by more than 50 percent from two million pounds in 2005 to just over 900,000 pounds in 2016.” In Monterey County, where the pesticide is applied to wine grapes in the Salinas Valley, farmers reduced the use of chlorpyrifos to merely 1100 pounds in almost one year. Nevertheless, the pesticide remains available for sale which has caused a widespread backlash, particularly among California farmworkers, who claim injuries resulting from its use. Indeed, at a hearing on the then-proposed listing of chlorpyrifos as a Proposition 65 developmental toxicant, dozens of farmworkers and their supporters offered testimony about the injuries they allegedly suffered due to exposure to the pesticide. The pesticide was added to the Proposition 65 list in December 2017. Environmental groups are demanding that the pesticide be removed from the market completely, and over the years have repeatedly challenged both US EPA and DPR regulatory processes relating to the pesticide. In one such legal action, the U.S. Ninth Circuit ordered US EPA to revoke food tolerances for chlorpyrifos and to ban the pesticide; that action remains pending. Hawaii passed legislation that prohibits the use of chlorpyrifos as of the beginning of January. Environmental groups argue that California’s new recommendations are inadequate to alleviate the threat posed by the pesticide. Indeed, the guidelines are only recommendations and are only enforceable locally by California County Agricultural Commissioners. Instead, environmental groups contend, the state should be implementing legal standards to ban use of the pesticide. In the meantime, DPR is considering the designation of the pesticide as a toxic air contaminant. Grimaldi Law Offices has been advising clients for over 20 years on chemical and product law. For knowledgeable advice and in-depth analysis on your chemical regulatory obligations, contact Grimaldi Law Offices at (415) 463-5186 or email us at info@grimaldilawoffices.com.